More than a stroke of genius. By getting around the guesswork. A cabin that follows the human form. And a century of tradition. The E-Class cabin flows with the contours of nature. Fine-tailored seats are sculpted to match the muscles in your body. Exotic yet sustainable woods sweep door-to-door, their natural glow edge-lit by 64-colour LED ambience. 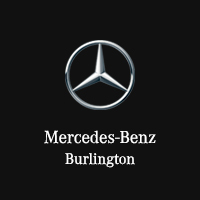 The turbo E 300 4MATIC and biturbo E 400 4MATIC squeeze more power from less fuel, atomizing every drop, and self-tuning every few milliseconds. A paddle-shifted 9-speed transmission responds quickly yet relaxes efficiently. System cannot prevent a collision, and does not alert the driver of an impending collision or system activation. Not available on AMG E 63 S equipped with AMG Performance front seats. Active Lane Change Assist is no substitute for active driving involvement. It does not predict the curvature and lane layout of the road ahead or the movement of vehicles ahead. It is the driver’s responsibility at all times to be attentive to traffic and road conditions, and to provide the driving inputs necessary to retain control of the vehicle. System may not detect some objects, obstacles or vehicles in the area into which the vehicle would move. See Operator’s Manual for system’s operating speeds and additional information and warnings.